From pickup trucks to iconic road cars, when you know how to pick a great used Dodge in San Diego, you will love every mile on the road. Getting the right used Dodge for you not only allows you to carefully select the features that you really want, it also allows you to choose from a range of model years to get the perfect balance of price and mileage. For pickup vehicles, get underneath and have a good look around. Off-road capability often means that trucks are treated pretty tough. Evidence of damage or recent repairs can indicate that the used Dodge you are looking at is hiding a host of problems. Get a professional inspection of the suspension and drivetrain. Off-road adventuring and towing heavy loads add wear to the vehicle that may not be accounted for by the number of miles displaying on the odometer. Passenger vehicles built by Dodge have a long history of great performance and handling. When you are buying a used Dodge, check the vehicle for obvious signs of wear on the seats and trim. A pristine rear seat can indicate a vehicle that hasn’t been used to haul the family around. A smooth, glossy paint finish will protect the panels underneath and may indicate a vehicle that has been kept garaged and is less likely to be suffering from corrosion and other damage. Make sure that you check your vehicle history. Maintenance records and a title check are imperative. Purchasing from a dealership will ensure that the formal inquiries have been done for you. 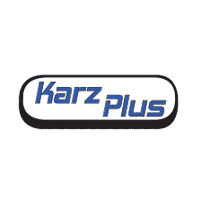 At Karz Plus, you can peruse our inventory online but if you don’t see the Dodge for you, we can source to your needs.